As BMX gets older and older, the new generation of extremely talented bike riders emerging from parents who used to/still ride BMX is becoming more and more commonplace. Our very own Josh Clemens is fortunate enough to be one of those lucky kids raised on a steady diet of BMX by his father Tim Clemens, who still rides all the time and owns Gonracin BMX shop in Klamath Falls, OR. 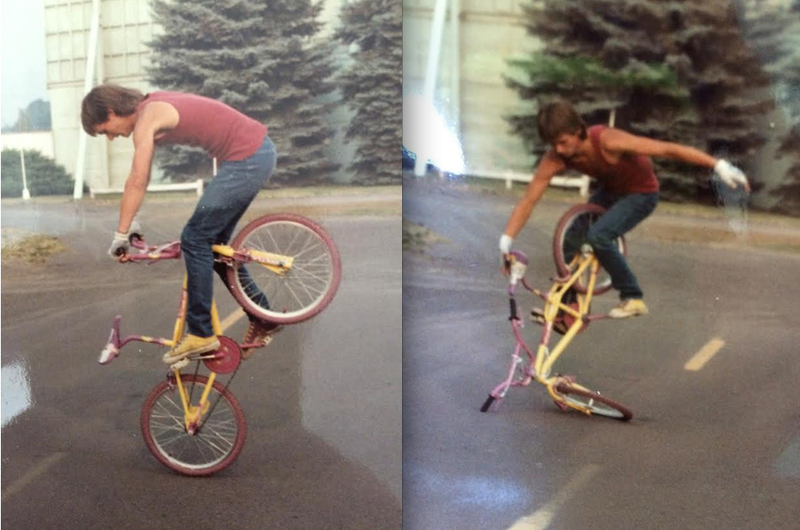 Tim is a modest guy to say the least and doesn’t really feel the need to be in the spotlight, but that didn’t stop Josh from scanning some old images of his Dad killing it for Snake Bike BMX’s “Shoebox” feature. Click here to check those out! How To Hop 360 With Broc.